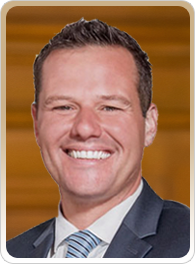 Join the Chamber for lunch with District 6 Supervisor Matt Haney on April 17. Supervisor Haney was elected in November of 2018. He represents District 6, which includes the Tenderloin, Civic Center, Mid-Market, SOMA, Yerba Buena, Rincon Hill, South Beach, Mission Bay, Treasure Island. Supervisor Haney is a past Commissioner and past President of the San Francisco Board of Education. He was elected to the Board of Education in 2012, and re-elected in 2016. In 2016, Barack Obama endorsed Supervisor Haney’s successful re-election race for School Board making him the only local San Francisco elected official to ever receive that honor. As President of the Board of Education, Haney was known for tackling some of the city’s biggest challenges with creative solutions. He led initiatives to build affordable housing for teachers and protect them from evictions, launch a new school in Mission Bay, secure housing and expand services for homeless students, and ensure all our kids have access to computer science and technology. We invite you to join us and remember, lunch begins at 12:00 pm and is free thanks to our generous sponsors Ladle and Leaf. Thanks to our other sponsor: Skidmore, Owings & Merrill.